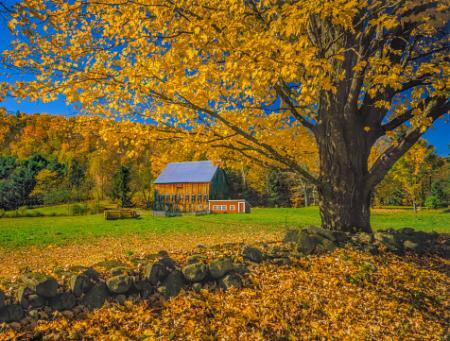 With their stunning display of fall colors in reds, gold and yellow, maple trees make a striking addition to the landscape. Gardeners have a host of selections useful as shade, specimen, or accent trees and smaller types work well in containers dressing up a porch or entranceway. 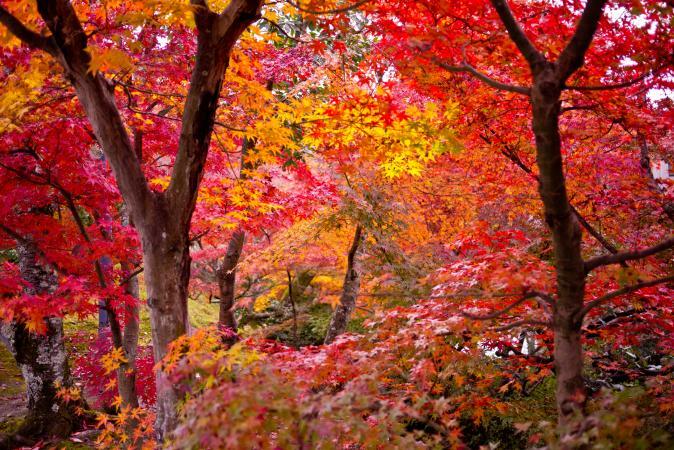 Maple trees belong to the genus Acer, and there are over 100 species of maple trees. They grace landscapes throughout the world and most are deciduous, meaning they lose their leaves each fall, but a few native to the warm climates of southern Asia do not shed their leaves. Maples hail mostly from Asia, but some species are native to North America, Europe, and North Africa. You can easily recognize a maple tree by the leaves. The leaves of all maples have five points. The leaf shape itself may be slender, almost lacy, like the Japanese maple, or wide in the middle like the Norway maple, but the leaves always have five points or finger-like projections. Most maples have green leaves during the growing season, but some may have red or ruby-bronze colored leaves. A common maple found in many landscapes is the Japanese maple (Acer palmatum). Japanese maples offer an almost infinite variety of forms due to the many cultivars and are hardy in USDA zones 5 through 8. They can be trained into various shapes, left to grow on their own, or any combination in between, and do well inside containers. A typical Japanese maple can grow to be 25 feet tall, with some cultivars growing as large shrubs. They prefer rich, well-drained soil and partially shady locations. 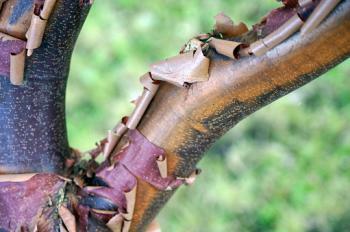 If drought is a problem during summers in your area, be sure to water a Japanese maple well. The majestic Norway maple (Acer platonoides) is frequently planted along city streets, as shade trees in front of homes, and in parks nationwide. It's a hardy and vigorous growing tree that can withstand all the indignities of being planted next to a road, as well as extreme heat and cold, droughts, car exhaust fumes, and road salt near their roots. The tree is considered invasive in some locations due to its widespread dispersal of seeds. Plant Norway maples in USDA zones 4 to 7 in full sun or partially shady areas. They can grow up to 50 feet tall and they do spread out, so leave plenty of room between the Norway maple and nearby structures. Their roots stay close to the surface, so plant them away from sidewalks and foundations or you may find cracks developing in the cement. They're very drought tolerant. The native and deciduous sugar maple (Acer saccharum) is responsible for the production of mouth-watering maple syrup and is hardy in USDA zones 3 through 8. 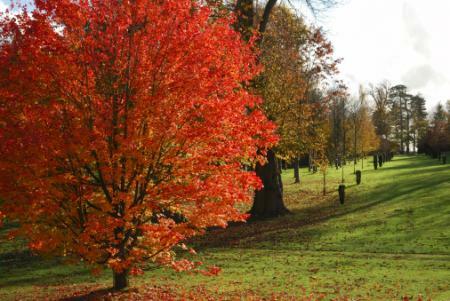 Known for its glorious fall colors, the leaves turn spectacular shades of bright orange, yellow and red. This is also one of the tallest maples, growing up to 120-feet tall and 50-feet wide, so they need plenty of room to spread out. They work well used as specimens, screening plants or a shade tree. It grows best in full to partial sun and in a variety of well-drained soils, but requires frequent water especially during hot and dry weather. Paperbark maple (Acer griseum) gets its name from the rich, coppery-brownish bark that peels along the trunk and branches year-round making the tree an eye-catching specimen. The maple can take years to reach its mature height of 25-feet. Most trees have multiple trunks forming low to the ground, but can be pruned to have a single trunk. It has a deciduous habit and during fall the foliage turns a brilliant shade of red. Paperbarks are hardy in USDA zones 5 through 8 and grow in a sunny or partially shady location in well-drained, fertile soil. The tree doesn't perform well in poor soils and requires frequent applications of water as it doesn't tolerate drought conditions. Red maples (Acer rubrum) are native to eastern portions of the U.S. and tolerate warmer conditions than many maple types, being hardy in USDA zones 3 through 9. The tree quickly reaches a mature height of 75-feet and makes an attractive shade or specimen tree. Due to its habit of forming surface roots, plant the tree away from house foundations or sidewalks. Deciduous red maples are one of the first trees to announce the coming of fall and puts on a riot of color with its red foliage. 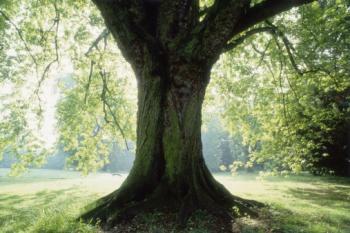 The tree tolerates a wide range of soils including wet locations and grows best in a sunny to partially shady location. 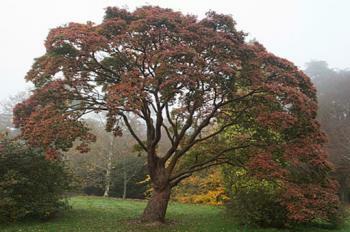 As with most maples, it is susceptible to a host of diseases and pests. Silver maples (Acer saccharinum) have long, delicate leaves somewhat reminiscent of a willow, but with the characteristic five-points that mark the maple tree. This is a maple that needs moist soil and tolerates flood prone areas and is suitable growing near a creek or pond. The tree has weak wood and aggressive surface roots so plant away from septic tanks, house foundations or sidewalks. 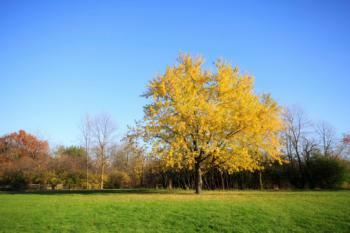 They can grow up to 70-feet tall and the deciduous silvery-green foliage turns a brilliant yellow color during fall. This native to North America grows well in a sunny to partially shady location in USDA zones 3 through 9 and is plagued by a host of disease and pest problems but many are rarely life threatening. Root system: Many maples have aggressive surface roots and shouldn't be planted close to the house, near septic systems or close to sidewalks or driveways due to damage. Soil pH: In general, maples are tolerant of a wide range of soil pH levels from a very acid 3.5 up to a neutral to alkaline 7 and over. Moisture: Most maples like the soil a bit moist but some, like the silver maple, demand it. If you live in a drought-prone area or you don't want to spend the time and effort to water your trees, talk to your local garden center to choose a maple for you. 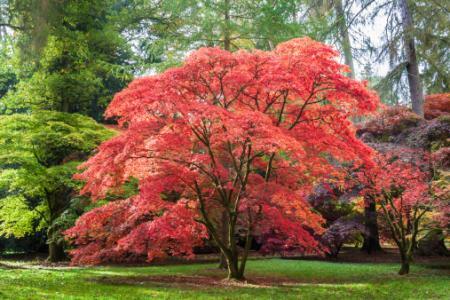 Space: For space-challenged gardeners, the Japanese maple is probably the best choice. It can be pruned to retain a smaller frame. Large trees must be set well away from homes so that falling branches do not damage roof lines. If you are looking for a tree that adds brilliant color during the bleak days of fall and winter, then look no further than a maple. 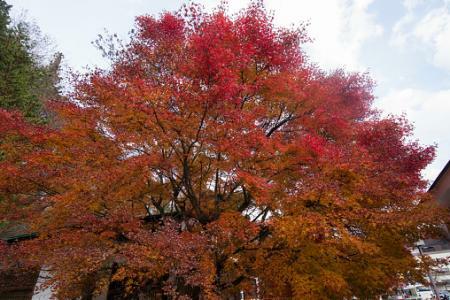 With proper planting and care, the tree will dress up the landscape for years to come and between the many types and cultivars, there's a maple suitable for everyone's desires.